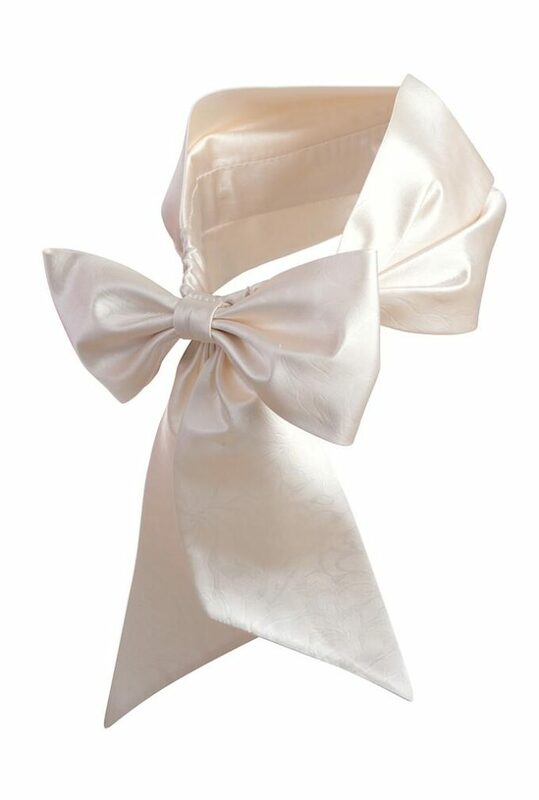 A luxurious, cream brocade bridal silk headwrap with bow and tails. Made by hand at our beautiful London boutique. Estel is a cream brocade bridal silk head wrap with bow and tails part of the Emily-London Wedding accessories collection. 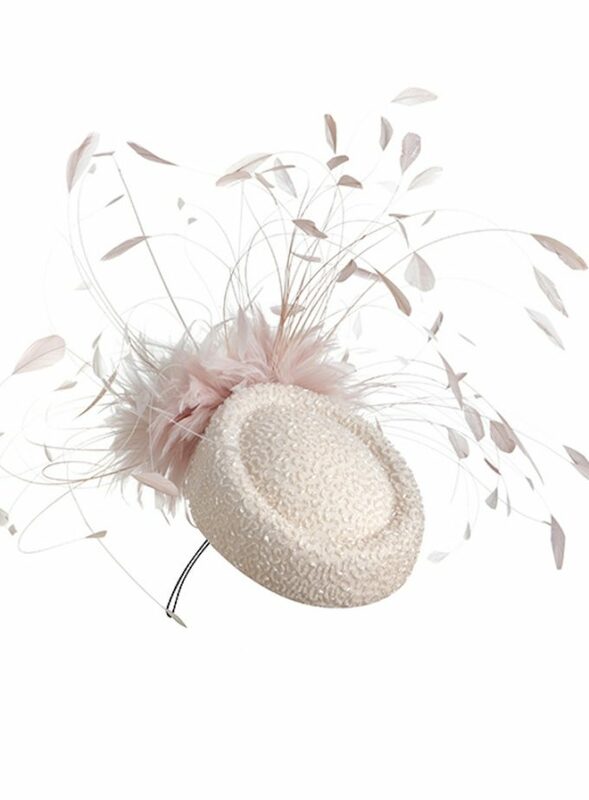 Created using the finest, luxury silk and sewn by hand at our London Millinery boutique. 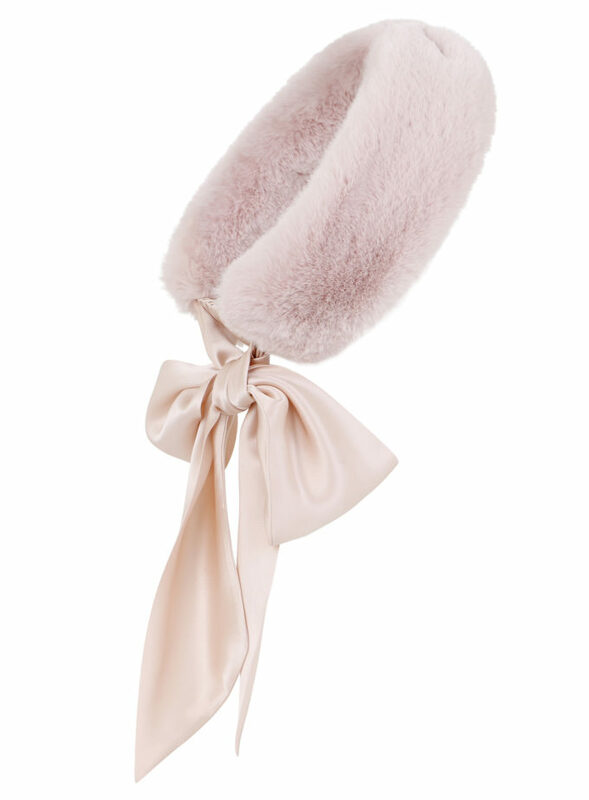 This silk head wrap has a couture tailored box and is a very flattering style. 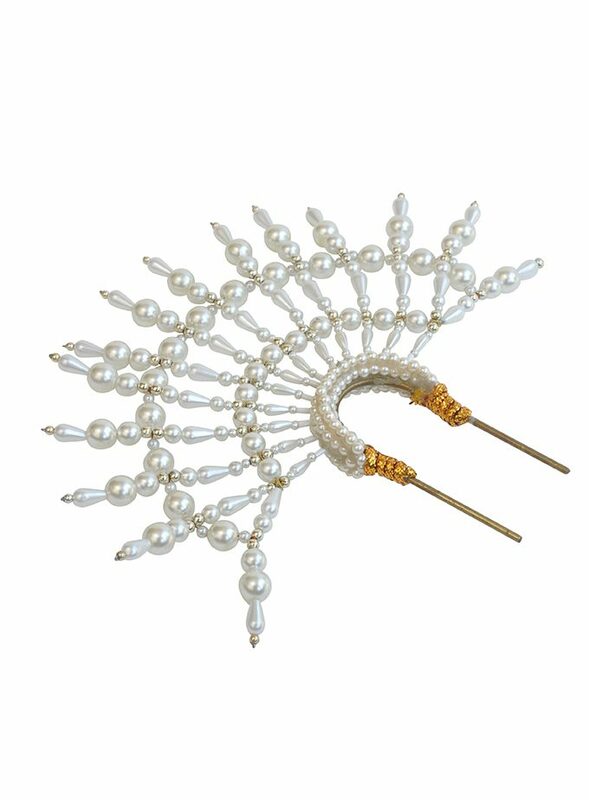 It is the perfect fashionable bridal hair accessory, suitable for a beach wedding or city wedding. 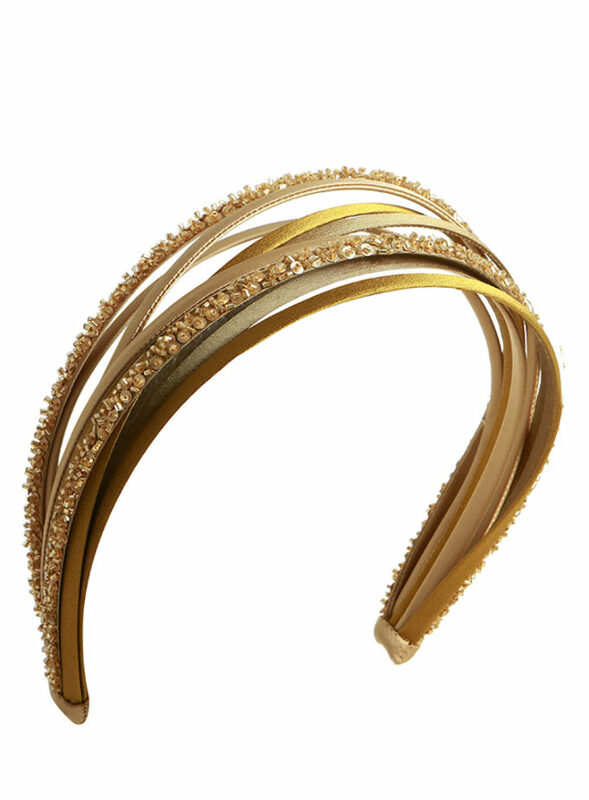 The style of the Estel head wrap can be created in any colour or material by our talented headpiece designers. This designer head wrap is an alternative wedding headpiece designed using exquisite silk and crafted by hand.